That is a question I am asked over and over. The person is usually looking for a list or schedule of skills they should learn with a start and an end. However, cooking is not like that. Cooking is made up of ingredients and techniques. When you put those together you get a recipe or finished product. What does it taste like? What preparation does it need — peeling, chopping, mincing, etc.? What flavor is is — sweet, salty, bitter, sour, fatty? What does it pair with? How is it cooked — steamed, sauteed, roasted, bloomed (for spices)? How do I chop, mince, slice? What is the different between steaming and boiling? What is the proper way to saute to maximize flavor? Why should I bloom my spices? When should I deglaze? All of these things work together and there is no right or wrong place to start. You need to just START! You will be surprised at what you do know and will learn a lot more by going through the process. The more you practice the better you will become. That first onion you chopped probably looked like something exploded on your cutting board, but by the 20th it looks professional (or at least better than the first!). With all the resources out there — cooking shows, YouTube videos, magazines and cooking classes (like those at Mrs. Dornberg’s), you have a wide exposure to the information and instruction you need. It is up to you to put it to use and GET COOKING!! I especially LOVE our hands-on classes. Since you don’t know what you don’t know, they allow us to teach you “what you need to know when you need to know it!” No matter what level of cook you are, I am sure you will pick up at least one or two helpful tips or techniques. A perfect example of an easy to pick up hands-on class is our Healthy Cooking: Veggie Power class! 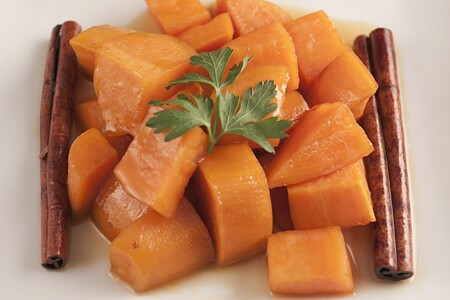 We will cover the selection, storage, cleaning and cutting of many popular seasonal varieties of vegetables and then cover the techniques of blanching, sautéing, glazing, stir-frying, steaming, roasting, braising and caramelizing! A Great Basic Cooking class that gives you all the tools you need to get started in the kitchen!